being little • bristol uk fashion & lifestyle blog. 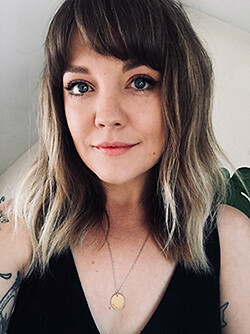 : family legacy recipes. When I was asked if I would like to take part in a competition in partnership with McCarthy & Stone, I couldn't say no! Yeah, they're a retirement home company, but hear me out.. The rules are that you had to share your favourite recipe that your mum has passed down to you, to celebrate those incredible ladies in our life. That sounded simple enough, but it turned out that I couldn't share just one! I learnt all the basics of cooking and was always encouraged to help make dinner with my parents. 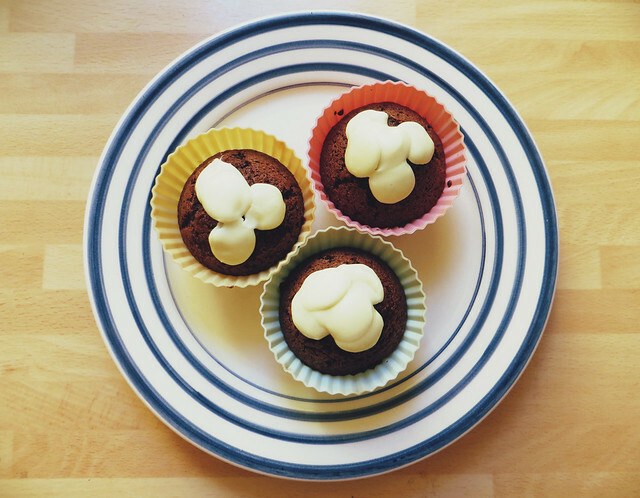 Mum and I spent a lot of time doing creative things like baking from when I was very little (here's some cute photographic proof!) and it has always stuck with me. The food I associate with my lovely mum is generally comfort food, something warming that makes your tummy feel happy and makes all of your troubles just disappear. 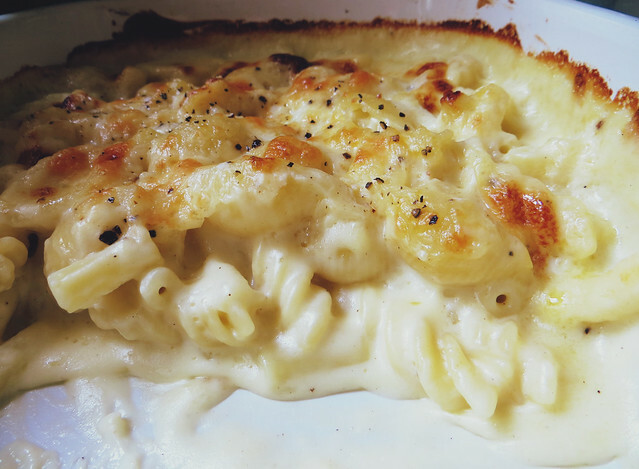 One of my favourite comfort foods, and one that I can never make as good as my mum does, is macaroni cheese. It's one of those meals that is so creamy and carby.. it can't be good for you, but damnit it tastes incredible. In theory it seems like a simple meal to make, and I've spent many evenings stirring the sauce next to my mum (and eating the grated cheddar before it went in..) but I could never get it right, until now! I think this means I'm finally a woman. It's a simple recipe that you can find on a lot of food websites, there's nothing fancy about this - although sometimes my mum pushes the boat out a little and tops with little bits of bacon before sticking it under the grill! My main tip with this is that you really have to spend the time concentrating on the white sauce! Something else I remember my mum making a lot of are stews or casseroles. 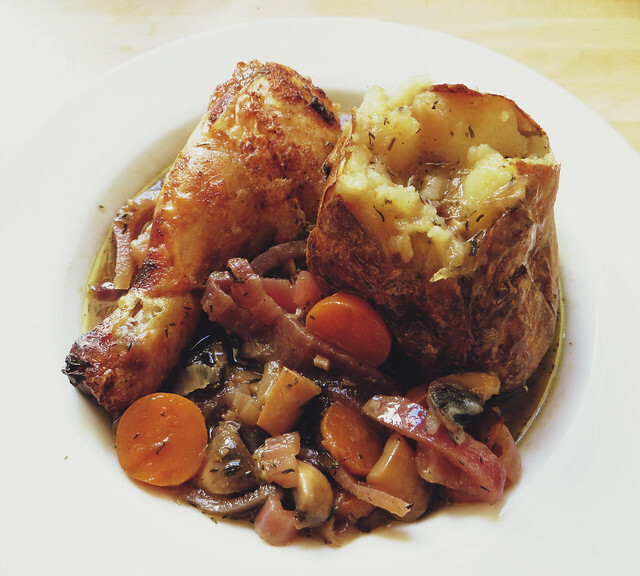 This chicken & cider casserole being my favourite. What I love about these juicy meals is that you can cook them in one pot, and you can change the ingredients a little depending on your taste. 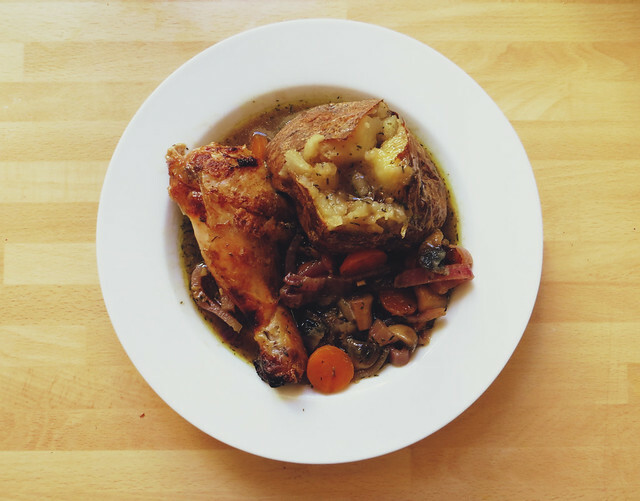 Stews and casseroles often start out the same way - browning the flour-dusted meat in a frying pan, then take it out and deglaze with stock, or in this case, cider. Meanwhile in a casserole dish, you sweat down some onions, garlic, mushrooms and carrots in a little bit of butter. Then you kind of just chuck everything in there with some seasoning, herbs, maybe a little more liquid if needs be, and cook it for a while. 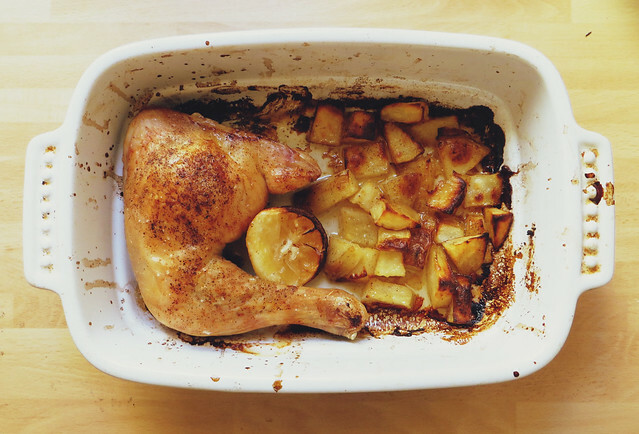 If you're cooking it in the oven, chuck some potatoes in to bake alongside, and towards the end take the lid off to let the chicken skin crisp up and the liquid to thicken up a little. Mum and I love lemons. In most things. One thing those zesty little yellow things really go with is meat - chicken and lamb in particular. Everytime I visit my mum, we have some kind of variation on this meal, and I still love it so much. All you need to do is chuck some meat in an oven proof dish with about a cm of water, some lemon juice and seasoning. It's incomplete without my mum's trademark "little roasties" and some salad. Top tip: put the lemon you squeezed the juice out of in the pan with everything - it'll go all gooey and delicious! Finally, I had to include something sweet, especially after sharing that photo of little me! This is the only cake recipe I've learnt off my heart, partly because it's so simple, and partly because we've cooked it so many times. It's a classic "chuck it all in and give it a good mix" cake recipe. No messing around with creaming butter and sugar - who has time for that when they're craving a bit of warm chocolate cake?! 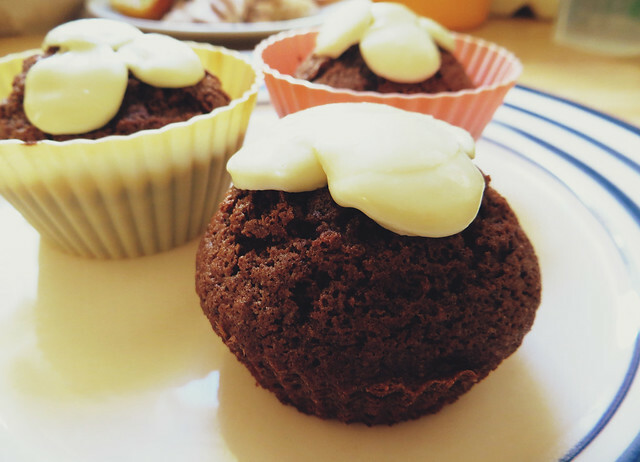 3oz self raising flour • 1oz cocoa powder • 1tsp baking powder • 4oz caster sugar • 4oz butter from a tub • 2 eggs. Mix and stick in cake cases, bake until a skewer/knife comes out clean, and you're done! 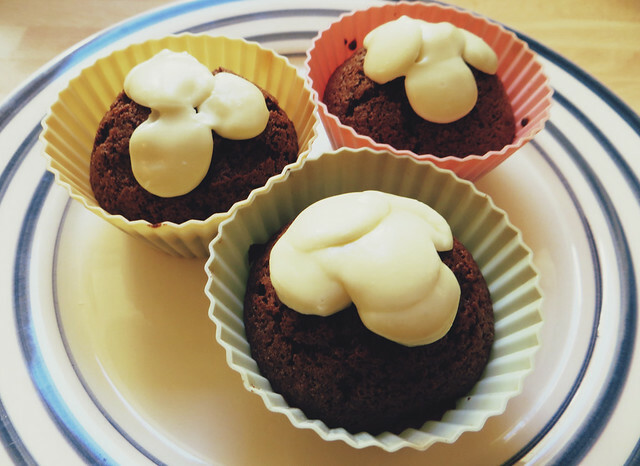 I've never really been a fan of icing, so I just topped these with a few white chocolate buttons when they were fresh out of the oven! 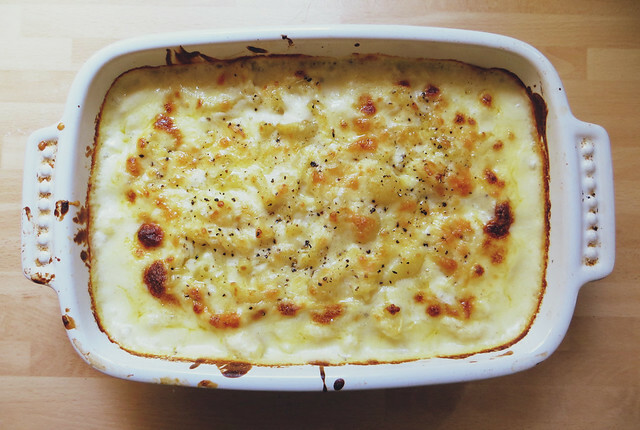 Have you got any favourite recipes that your mum/dad/other has passed down to you? This post really made my mouth water! I will definitely try out your tip about the lemon! One of the recipes my Mum past down to me was one she got from her mum, and that is beef stew and dumplings! It's more a recipe for the winter months and is very warming. The bayleaves give it a rich and fragrant flavour, and it's full of veg. I've adapted it into a slow-cooker recipe so I can just throw everything in and leave it, adding the dumplings an hour or so before eating. I've been making the same shortbread recipe that was my nans since I was four years old - I think my mom assisted me with it until I was about five and then would just leave me (aside from the oven bit, obviously) to do it on my own after that, we'd made them so often! Can I come round for some Mac and Cheese please? My mum makes a cracking lasagne and I only hope mine is as good as hers! These are all my types of recipes! 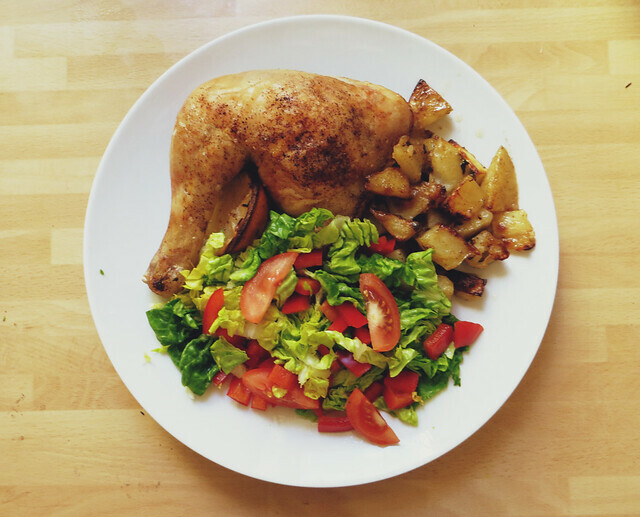 We do something similar to the chicken one with salad but the crockpot casserole sounds lush. Oh my gosh, everything looks super YUM! The mac n' cheese looks AMAZING! May or may not be drooling...haha! These are all delicious looking recipes! My mum made delicious casseroles too! oh yummy, I'd love me some of that mac & cheese! you're probably right about it being carby but it's also the perfect comfort food! YUM this post has made me so hungry! These look deliciously yummy *drools* Now I'm hungry.